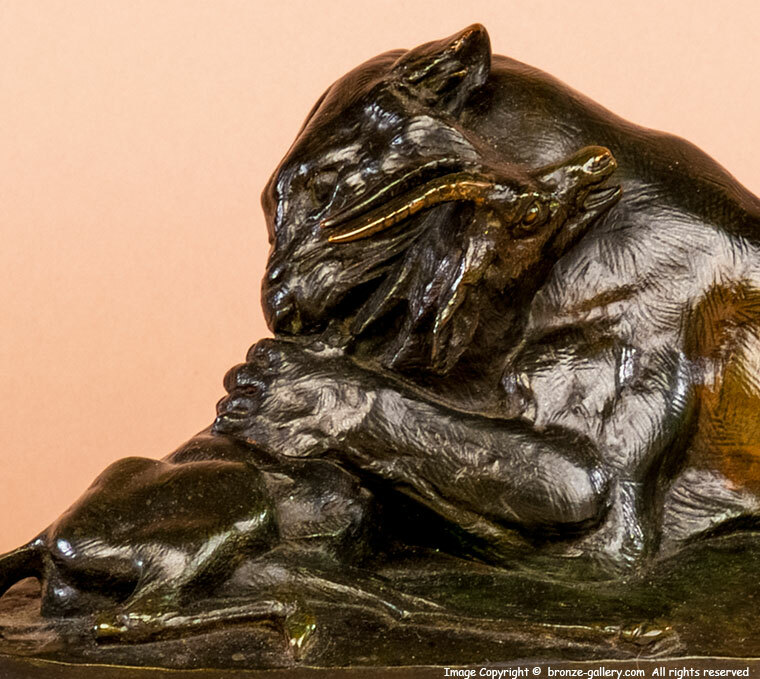 Barye's model of Tiger Devouring a Gazelle is a pendant to his 1831 Tiger and Gavial combat group except the petite Gazelle is shown more as prey than as a worthy opponent in the Gavial crocodile portrayed as in his earlier work. 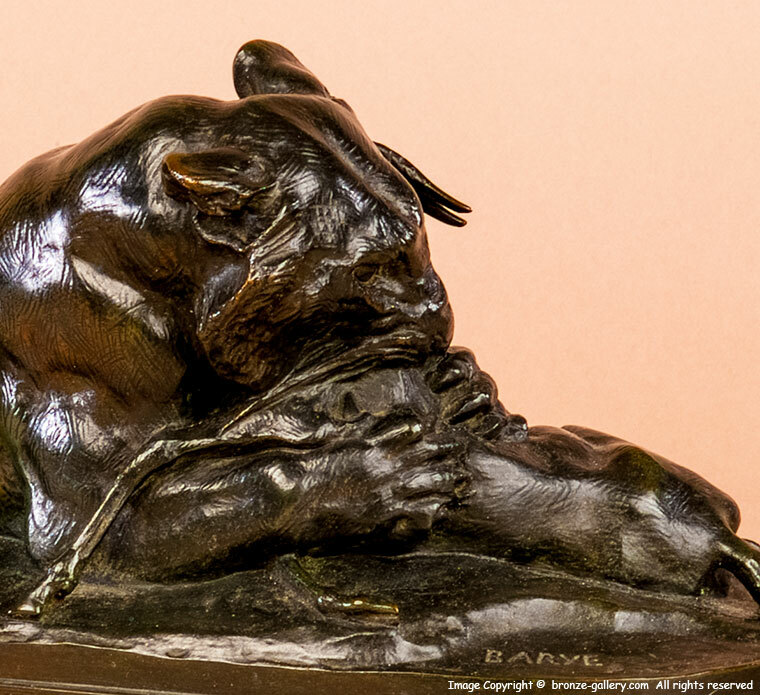 Barye created two variations of this model, the 1st version had the entrails of the Gazelle spilled out over the base of the sculpture in a rather gruesome but realistic manner. To broaden the appeal of this subject Barye removed this feature from the later editions of this work and this one is of the 2nd variation without the Gazelle's entrails. This powerful bronze sculpture is a fine cast by Ferdinand Barbedienne in his Paris foundry and is finished in a wonderful black, brown, and green multi colored patina. This model is illustrated in Payne's book Animals in Bronze on page 147.